As an International Songwriter, Producer, Arranger, Entrepreneur, and Philanthropist, it’s safe to say seven-time Grammy Award winner Rudy Pérez is a very busy man. During the last 50 years, Cuban-born Rudy Pérez has composed over 2,000 songs, with more than 400 of them achieving #1 or Top Ten status. Rudy has written and produced tracks for artists including Beyonce, Julio Iglesias, Christina Aguilera, IL Divo, Natalie Cole, Michael Bolton, Luis Miguel, Jose Feliciano, Marc Anthony, Sam Moore, Arturo Sandoval, Juan Luis Guerra, Cyndi Lauper, and many more. He has also composed, arranged, and produced music for countless commercials, television programs, and film. Often referred to as the “producer and songwriter with the Midas touch”, Rudy has received over 600 gold and platinum album awards. He’s been nominated for 22 Grammy Awards, with seven wins. Rudy is the first Latin record producer to win the Billboard Hot Latin Tracks Producer of the Year for four consecutive years. He has also been awarded ASCAP’s Songwriter of The Year five times. Billboard Magazine named him “Producer of the Decade” in 2010 for having more #1 and Top Ten hits between 2000-2010, more than any other producer in history. 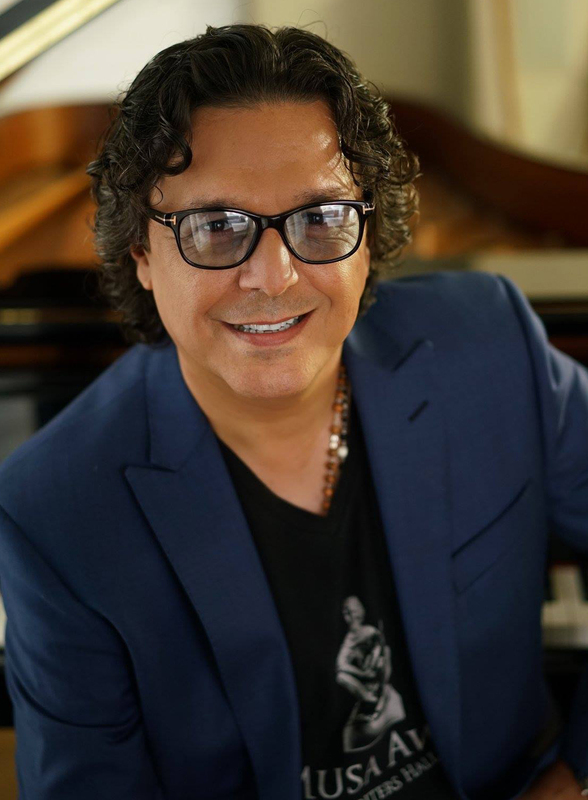 As the first president of the NARAS Florida Chapter, Rudy Pérez Co-Founded the Latin Grammys (LARAS) with then Grammy Chairman Michael Greene. Rudy launched his record indie Latin label, Bullseye Music Entertainment, in 2009. Bullseye has been the only non-major label nominated Latin Pop Label of the Year by Billboard. In 2013, Rudy co-founded the Latin Songwriter’s Hall of Fame in Miami Beach, the first for Hispanic songwriters. They celebrate music’s most important Latino songwriters with an annual awards show called La Musa Awards.